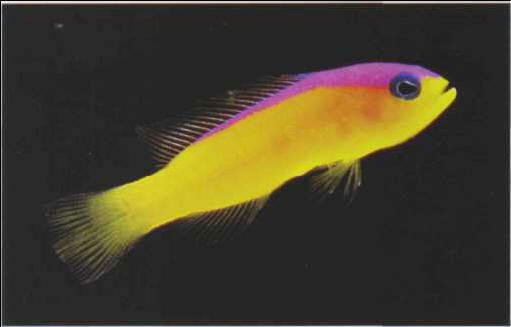 This resembles the royal gramma, with which it can cohabit - which is not the case with members of its own species. It flaunts a golden yellow coloring set off by purple. It feeds on small, live prey and pieces of mussel. This fish is recommended for invertebrate aquariums with enough space for it to hide. Size: 7 cm. ОДАВАРА , город в Японии, на о. Хонсю. 196 тыс. жителей (1992). Химия, металлургия, машиностроение. Крупные оранжереи.